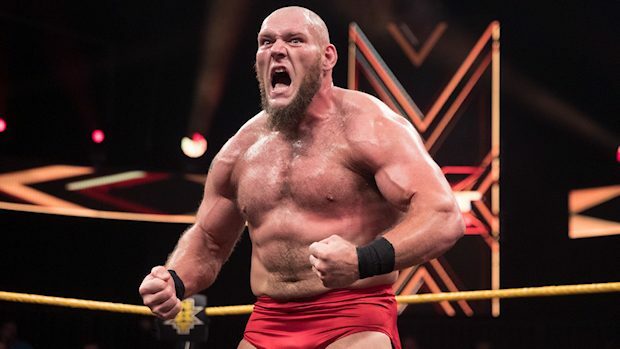 — What’s going on with Lars Sullivan? According to Dave Meltzer in the Wrestling Observer Newsletter, Sullivan was scheduled to make his first-ever appearance as a member of the main roster at Raw last Monday — likely in a dark match. He either didn’t show up at the Amway Center in Orlando, Florida or left before his scheduled appearance, with the reason being given that he had an anxiety attack. Whatever Sullivan’s problems are, it doesn’t look like the issue has been resolved yet. 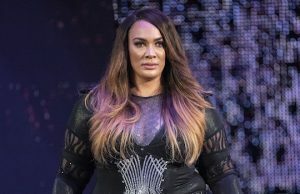 According to a report by Mike Johnson of PWInsider.com, fellow NXT call-ups EC3, Lacey Evans, Nikki Cross, and Heavy Machinery are all backstage at tonight’s Raw at the FedExForum in Memphis, Tennessee. However, there’s no word yet on Sullivan being there. — Check out this up-close and intense footage of Charlotte Flair, Becky Lynch, and Carmella in a Triple Threat Match last week on SmackDown LIVE that decided Asuka’s opponent for the Royal Rumble event. — Artist Rob Schamberger paints Elias in the latest edition of WWE Canvas 2 Canvas.